Now is when you should make sure you are fully prepared if you count yourself amongst the millions of retirement-aged Americans ready to say goodbye to the full-time workforce in 2019. The transition to your next phase of life, whether it be retirement or semi-retirement, should receive more than just a passing glance. Every day, over 10,000 baby boomers turn 65. Of course, not everyone is ready to finish working at that age exactly, which means someone your age on the verge of retiring may have a situation very different than your own. According to a 2015 study conducted by Voya Financial, nearly 60 percent of workers had to stop working before they wanted to, due to things such as layoffs or health issues. Adversely, others have worked continuously, long past the age they once assumed they would retire. And while there are retirees who may have been scrounging and saving for decades towards this eventuality, there are others who have yet to even consider what their transition away from 40-hour work weeks may look like. No matter where you fall on that spectrum, experts implore you to take some time to make sure you’re covering all your bases, financially, no matter where you fall on that spectrum. Terrence Herr, the Chicago-based certified financial planner and managing partner at Herr Capital Mangement says that more often than not, he finds that people are a bit apprehensive about retirement. As you move on to this next phase of your life, here are some things you may want to consider. Heading into retirement, you should have a clearer picture of your expenses and how that might change, even if you already have a general idea of what you already spend. For example, while you may spend more on travel, entertainment, or other hobbies when you’re no longer spending the majority of your time at work, while other expenses, such as office attire, or the costs of commuting, no longer apply. Linda Rogers, a CFP and owner of Memphis, Tennessee based company Planning Within Reach recommends to track spending for the next few months if you’re uncertain. Paying off things such as mortgages, credit cards, and other debts are good marks to strive for before retirement, and while that may or may not be an obtainable goal, the less debt you have, the better off you are. Regardless if you retire at or past the age of 65, you’ll be eligible for Medicare. However, things like vision, dental, and long-term care are not included in that. Factors such as income (the more you make, the more you pay), surcharges for late-enrollment (if you don’t meet an exclusion, after missing sign-up when you were first eligible) and other circumstances like additional coverage and to what degree, will affect the amount you pay for Medicare. Either way, you’ll need to find your own coverage if you are under the age of 65. There is also COBRA, a federal program which states that employers with more than 20 employees must allow ex-workers, including those who have recently retired, to be able to retain their current health care coverage, but only if the full price of all premiums is paid for by the ex-worker. This is for people who may face a lapse in coverage between plans. Many employers partially cover the cost of premiums for active employees, but when it comes to COBRA, they normally decline to do that. There are potentially other options, including an Obamacare (also known as the Affordable Care Act) is another option, and contingent on your current financial income, you could be eligible to take advantage of that. Depending on your income, you may receive a subsidy if you go that route. Less popular routes could be available too, which would encompass all short-term plans. These will come with less-comprehensive coverage and are normally an option that is the only viable option for people without any pre-existing conditions. The fact is that, according to research from Fidelity Investments, your typical 65-year-old couple will spend $280,000 on health care over the course of the rest of their lives. This is taking into consideration that as your age rises, so do expenses when it comes to health care. Even though at age 62 you can start drawing from Social Security, the longer you put off taking those monthly checks, the larger they will be. If you can hold off until at least age 70, your yearly benefits will increase by 6 percent to 8 percent. However, your current income can alter your Social Security benefits, as most people don’t wait until their 70 to take advantage of them. And with the number of 60-somethings still fully or partially a part of the workforce, it’s important to take that into consideration. According to the Bureau of Labor Statistics, in 2017 more than half (54.7 percent) of people aged 60 to 64 were still employed in some capacity, at least part-time. That number drops to a third (31.2 percent) when it comes to the people aged 65 to 69. The government-determined retirement age is between 66 and 67, based on your birth year. If you start drawing from Social Security before then, the amount you can make from your employer without affecting your benefits may be limited. $17,640 will be the limit, in 2019. Benefits will be lowered by $1 for every $2 you earn beyond that. This money will be returned to you once you’ve reached the age of full-retirement, but please remember that up to 85 percent of your Social Security benefits are eligible to be federally taxed, depending on your income. After this, your Social Security benefits will not be affecting, no matter how much money you make from working. In 2019, please note that $1 will be subtracted from your benefits for every $3 you earn above $46,920 if you happen to be one of those people at full-retirement age who optioned to take advantage of this early. In retirement, sources of income can vary Individual income sources may vary in retirement and may include retirement savings such as a 401(k) or another retirement account, Social Security, health savings accounts, pension, business or income trusts, or taxable savings and investment accounts. Taxes may vary with different sources of income. Capital gains taxes may be owed on certain withdrawals. Roth IRAs or Roth 401(k) plans are tax-free, while withdrawing from traditional IRAs or 401(k)s are taxed as ordinary income. Required withdrawals could force you into a higher tax bracket, depending on your current income level. At age 70.5 you will have to take ‘required minimum distributions’ (RMDs) from your traditional IRA or 401(k) accounts. Roth 401(k) plans have RMDs, while Roth IRAs do not. That means before the RMDs kick in you should move your assets into your Roth IRA, or at least tap into those funds, so your taxes don’t suddenly increase. What you pay for Medicare may additionally be affected by your annual income. People who earn more pay more, so it is wise to know your coverage could be affected by your income. Your post-retirement income plan, your IRA or 401(k) should be a mix of investments if it makes sense. Stocks yield the best returns but are the riskiest endeavor, so how much of your portfolio you devote to them is contingent on how much you’re willing to gamble, and how much income you might need in your retirement. Sequestering several years’ of income away from the stock market is recommended. Financial advisors suggest keeping these funds in money markets, as cash, or possibly in other less risky investments. “Don’t risk the money you need in the next two or three years. You can stomach volatility in the market if you have three years of income that is safe and not subject to those ups and downs,” Herr, of Herr Capital, says. Otherwise, to produce the annual income needed to live, you may have to sell your investments at a lower price, if the market is down. 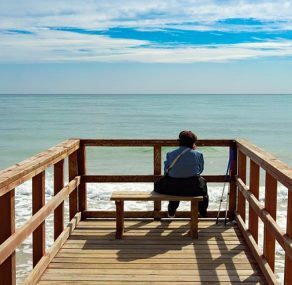 Retirement can be a lot more precarious for people whose work was a big part of their self-identity, may financial advisors claim. Pursuing other hobbies, fostering friendships, and volunteer work can help keep loneliness and boredom at bay. For some retirees, teaching and sharing their specialized knowledge is where they can derive personal satisfaction. Also get comfortable with the idea of seeing your assets shrink instead of blossom. 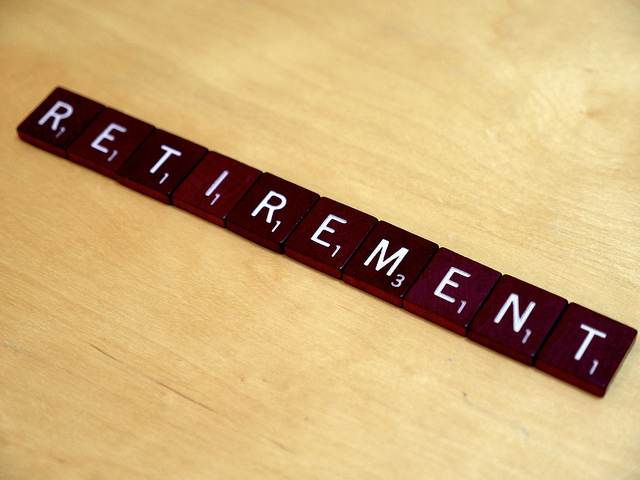 Are Federal Employees Prepared To Retire? Which Dates are the ‘Best’ Retirement Dates in 2019? Learn how to save while nearing retirement.